If you’re looking to go Kite Surfing in Sri Lanka, then Kalpitiya is definitely the place to be. With it’s many shallow lagoons and constant winds it’s fast becoming known as one of the worlds best kite-surfing locations. If action sports are not your thing, then this is also the jumping off point for snorkelling and diving at the Bar Reef, and also for dolphin and Whale watching excursions. There doesn’t tend to be a timetable for the busses… they go when they’re ready! Hi! Where is the closest bus station from the Colombo airport? I will arrive early in the morning and want to go straight to Kalpitiya. you may have to jump a threewheeler (tuk tuk) to the main road, it’s a short journey so should only be 200 rupees or so. I travelled on this route from Pilavi junction. It only took about 2.5 hours . It left around 11pm and there were quite a few buses on this main road but I was told to take the blue bus as this was the fastest. The Busstation in Kalpitiya is at the policestation, nearly end of the main road. Does anybody know at which time the express-bus Colombo-Fort to Kalpitiya is leaving (at sundays)? Where exactly is the bus stop at katunayake ? Is it near the train station ? 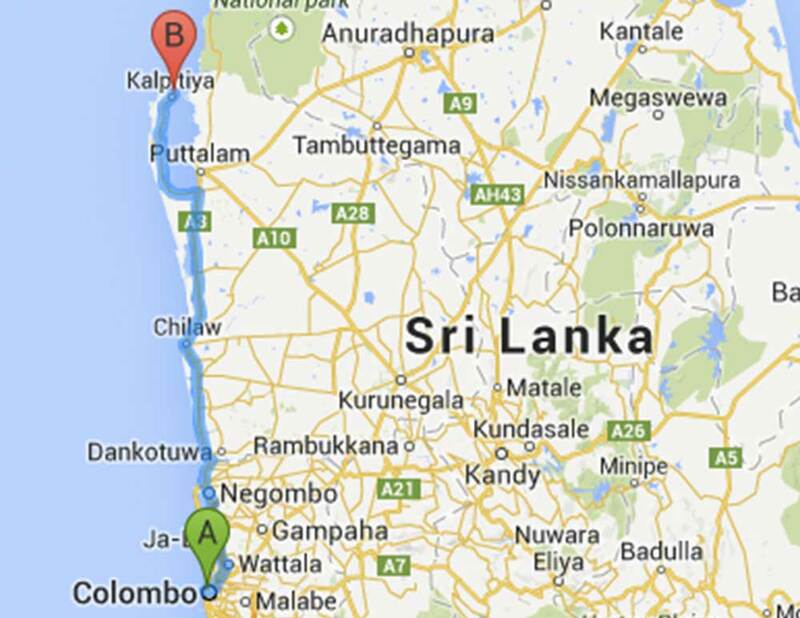 How long to go to Kalpitiya ? Not exactly sure, but there is a bus station a little way from the airport towards the main road. Otherwise you may have to get to the main road to catch the bus. The journey to Kalpitiya will probably take three hours or so. Please fill us in on any additional information so that we can keep the website as informative as possible. we need to get the Kalpitiya from Colombo in 18 of January 2017 and back on 26 of January 2017. I have read what there is a direct bus but I can’t find it on timetable. The busses tend to leave when they’re ready, rather than to any particular timetable! It’s unlikely you’ll have to wait too long.